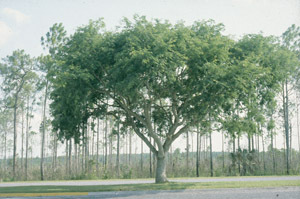 General Landscape Uses: An excellent specimen shade tree in extreme southern South Florida. 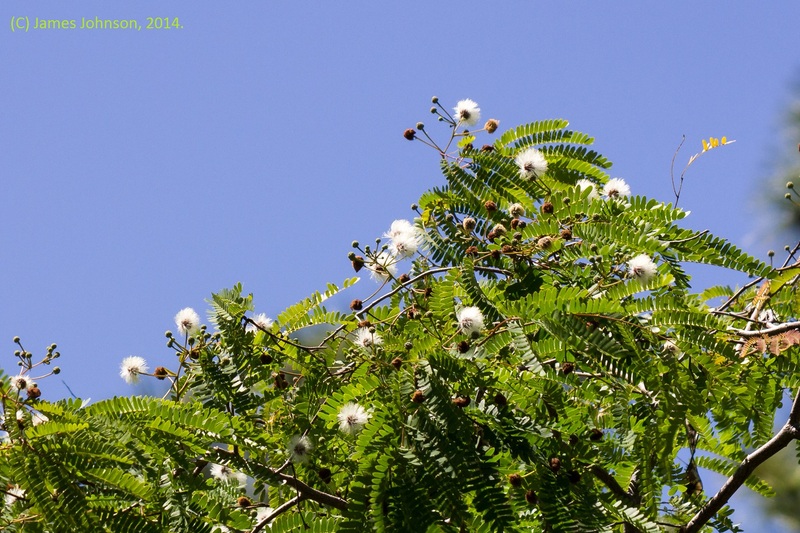 Ecological Restoration Notes: A common canopy tree in rockland hammocks in South Florida, but with some range restrictions in Miami-Dade County. Availability: Widely cultivated. Available in Lake Worth at Indian Trails Native Nursery (561-641-9488) and at Amelia's SmartyPlants (561-540-6296). 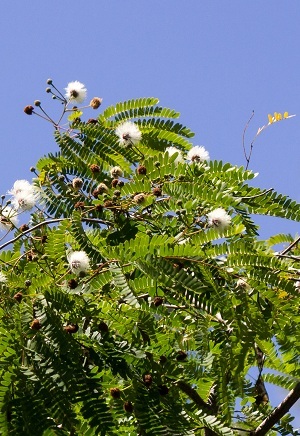 Description: Medium to large erect to spreading tree with a wide, flat crown composed of many stout, spreading branches. Trunks large, to 3 feet in diameter. 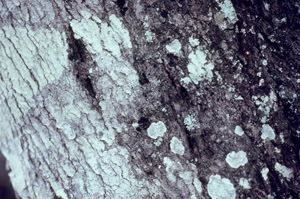 Bark usually gray, separating into large, plate-like scales on older trees. 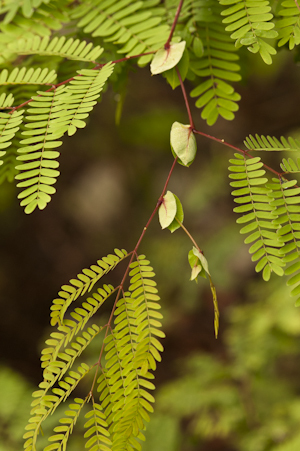 Leaves tropical semi-deciduous, compound, fine-textured, feathery, light green above. Dimensions: Typically 30-50 feet in height; to 79 feet in South Florida. 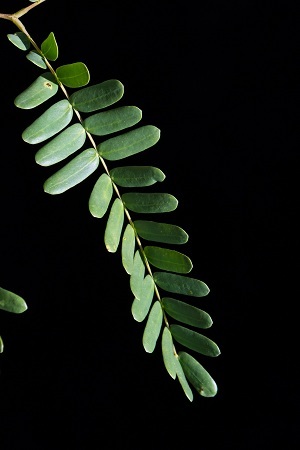 Can be as broad as tall, especially when growing in the full sun. Range: Monroe, Miami-Dade and Collier counties; West Indies, Mexico and Central America. In the Monroe County Keys, very rare and scattered south of Windley Key and absent from most of the middle and lower Keys. In Miami-Dade County, limited to an area from Long Pine Key in Everglades National Park northeast along the Miami Rock Ridge to about Cutler Ridge, then disjunct at Brickell Hammock south of the Miami River. For a digitized image of Elbert Little's Florida range map, visit the Exploring Florida website. Little mapped two small areas in Broward and Palm Beach counties, but these historical reports were never verified. 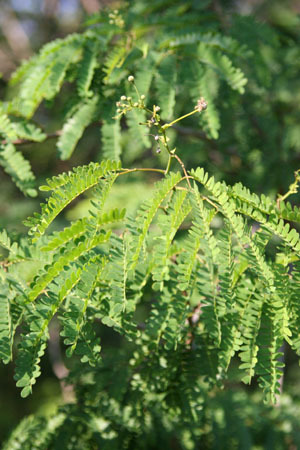 Nutritional Requirements: Low to moderate; it can grow in nutrient poor soils or soils with some organic content. 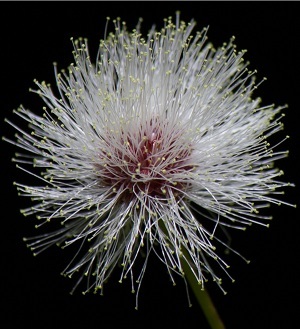 Flower Characteristics: Semi-showy puff-ball flowers. Fragrant. Fruit: Extremely flat black pod (legume). Wildlife and Ecology: Provides some food and significant cover for wildlife. Primary habitat for native tree snails (Liguus fasciatus). 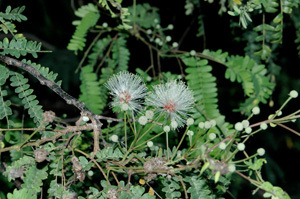 Larval host plant for cassius blue (Leptotes cassius), large orange sulphur (Phoebis agarithe) and mimosa yellow (Eurema nise) butterflies. 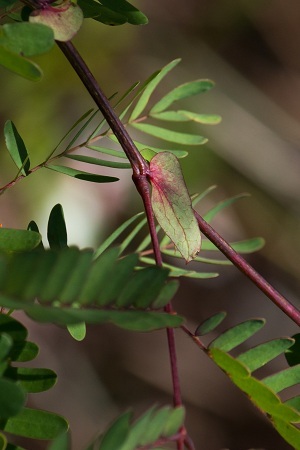 Nectar plant for cassius blue, mangrove skipper (Phocides pigmalion) and other butterflies. 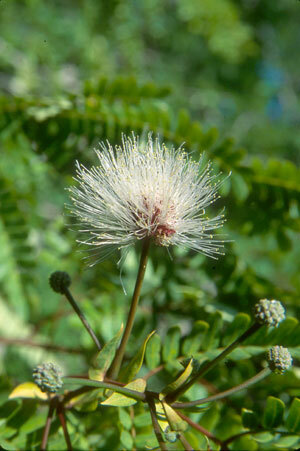 A pioneer tree, it readily invades pine rocklands in the absence of fire, although unlike many other hardwoods it is usually killed when fire returns to the system. Horticultural Notes: Can be grown from seed. 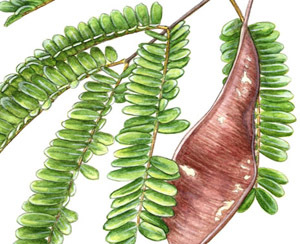 Remove seeds from pod. Sow on top of soil and sprinkle soil over seeds to just cover. Place container in sun or light shade. Germinates in a few weeks.